If ever there was a time when a woman needs some help and understanding it is at this time when you are pregnant with your first child. Most women find it very difficult to imagine how they will feel when they are a mother and yet they are required to make all sorts of really important decisions about work and their baby. It’s also the first time you’ve given birth and there’s nothing to compare it with so how do you decide what you want. of course there are plenty of other mums happy to offer advice and articles but how do you know what’s going to be right for you and you know how important it is for you to make the right decision. You’ll be poked and prodded, have to show your nether regions to complete strangers and then find that the person helping you at the birth is someone else. 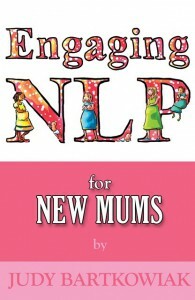 This book will introduce you to the basic principles of NLP, the beliefs of excellence and show you how to apply them in your pregnancy, birth and the early days. There are some great exercises and techniques to try and you’ll discover how you can get some control over the mind/body connection. When you notice a quality (or a failing) in someone else this is because in some way you have it too which is why you can recognise it. This is because we each process our world differently and notice different things. So if you notice something about someone else, they are probably noticing the same thing about you. 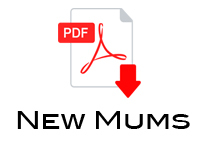 This is such an important one for new mums isn’t it? How often do we react spontaneously and emotionally rather than take a step back and be objective? This could be responding to something the doctor or midwife has said, your boss, your partner, your mum? Our hormones are in turmoil and we are experiencing the most major change in our lives. We have 100% responsibility for a completely dependent human life and we are totally exhausted. Before responding, stop and consider how an impartial bystander might see or hear the situation differently. This is called ‘disassociating’ and it separates us from the emotion of the situation so we can decide what options we have. You will find this really helpful as your baby heads towards the toddler stage! Flexibility enables us to choose between different options regarding how we respond in both our internal self-talk and what we say and do. The more options we have, the more chance we will be in rapport with those around us and can therefore influence them. One of the great ways to use this flexibility is to be solution focussed rather than problem focussed. Some pregnant mums worry about the birth, have nightmares that they will end up giving birth in the car or a corridor in the hospital, that they will be induced or that things will go wrong. You have the choice to visualise positively, visualise things going well and focussing on your desirable outcome rather than looking for problems. When you are flexible and make positive choices the outcome is good because that’s where you are putting your attention. There’s a great chapter on identity and you can use the Logical Levels to align yourself which you may want to do several time during this period of change in your life. You can use a Time Line exercise to transfer skills from your past and bring them to the present and anchor them for use in the future. What beliefs do you have about being a mother and what about your partner what does he believe about his role? There are plenty of opportunities to answer questions and think about the sort of mother you want to be. You can learn how to do perceptual positioning to give yourself the possibility of looking at things from different perspectives. Do your own circle of excellence to establish a resource for confidence which you will need as a new mum. You are going to be meeting lots of new people who it will be very important to get on with so learning more about how you process and communicate will be vital. This is a workbook jam packed with handy tips and techniques to use alongside the more in-depth pregnancy books you have bought and these techniques will be useful as your baby develops and you need strategies for managing the emotional ups and downs of being the excellent mother you surely will be.